Nobody knows real estate like Barbara! 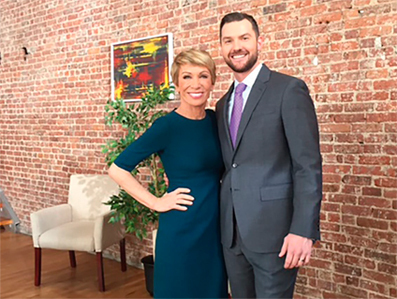 Barbara Corcoran founded her real estate company in 1973, initially backed by a $1,000 loan from a friend, but she’s built it into one of Gotham’s biggest firms. She sold the company for $66 million in 2001, and has since embarked on another chapter that’s made her a household name: as one of the sharks on ABC’s hit “Shark Tank”. Barbara knows a great real estate agent when she sees one, and that is why she has endorsed Tyler Goff and his team of real estate specialists. Tyler Goff Group has proven and repeatable systems to sell your home and get you the best results possible! With her experience in real estate, Barbara understands what it takes to get your home sold, and she trusts the Tyler Goff Group to get the job done! Copyright © 2019 Tyler Goff Group - All rights reserved.